Having your own YouTube channel makes sense. YouTube is the largest search engine for videos; it has fast turned into a Google for video solutions to our everyday problems. From photoshop tutorials to checking out video clips of popular destinations, there is little that you cannot find on it, so having your own YouTube channel makes sense. Does Youtube sound even more attractive to you now? If you can reach out to your potential target audience on YouTube by providing them with content that is both engaging and entertaining, the benefits could well be worth your time, effort and money. 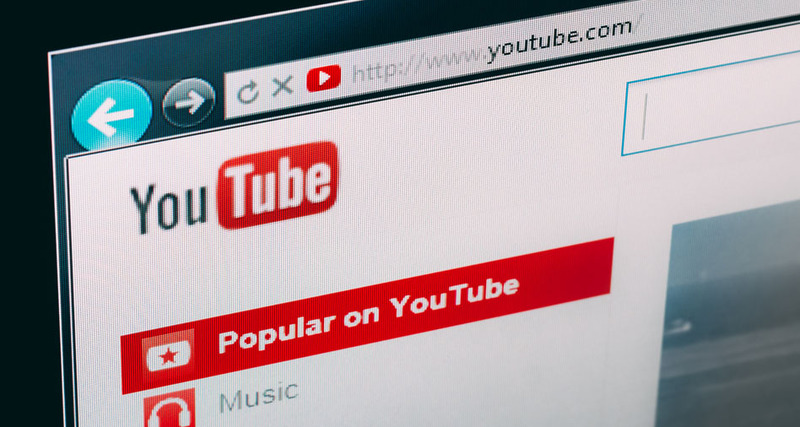 As it is often said that YouTube can be used to attract new viewers as well as retain the existing loyalists, creating your own ‘YouTube channel’ will help streamline the entire process. It will give your videos a branded, reliable look and your audiences will find it easier to keep track of updates and new videos. 1) What do you want a YouTube channel to do for your business? Before you start creating and uploading videos, think: Why do you need to be on YouTube? What is your aim? Or do you want to engage more prospective customers? Being clear about your reasons and approach will help you keep your videos relevant, and ensure you communicate in a consistent manner. Your viewers will appreciate this care. 2) Will you need more than one YouTube channel? If you are creating a YouTube channel for a business that sells different types of products, you may find it worthwhile having a YouTube channels for each type. This will help viewers more easily find and follow the videos for the product that they are interested in. For example – a fitness store might sell bikes and running gear – a channel for each makes sense. 3) What can you do to customise your YouTube channel? While customising your YouTube channel, you should stick with your corporate brand identity. Don’t deviate from the original, use the same colour schemes and fonts because familiarity is important. You should use your company’s logo and you can upload a background image that reflects your company’s online image. 4) How should you organise your videos? YouTube provides you with an option of ‘Playlists’. They are effective because you can group together similar videos in a playlist so that the viewer can watch them one after another in a go, or you can even embed an entire playlist on your website. Organising your videos will make it easier for viewers to find them. Using the fitness store – a bike channel could have a playlist for kid’s bikes, one for ladies urban bikes, another for men’s road racer’s and so on. 5) Is it a good idea to upload TV type commercials on my YouTube channel? You can, but think about the viewers on YouTube who are mostly searching for answers to the ‘How, who, what, where, when and why’ type questions. They are looking to be informed and educated. The use of a commercial is to drag a prospective customer into the purchase cycle; whereas by opting to watch your videos, the viewer is already engaged with your products or services. 6) What’s the best way to describe your videos? Even though YouTube runs an effective search algorithm and tries to listen to the content in your video, it can still not replace a self written clear description. Make sure you write down clearly what your video is about, in not more than two sentences. The first sentence should start with the URL of your website, followed by a description that uses search phrases and keywords. 7) Should you produce your own videos? Producing your own videos or hiring a video production company depends on your budget and needs. If you are a small company or an individual on low budget, you can record and upload your own videos. You can shoot them using a camcorder or your own digital DSLR. There are plenty of training video on YourTube where you can pick up basic training. However, it is worth bearing in mind that production values do count in the eyes of your viewers. If you want to maintain a professional image throughout all your videos, you should consider hiring a video production company. Look through their showreels and see whether they have experience making videos for businesses like yours or in a style you want for yours. Download our free ‘Guide to Video for business’ to know more about video production. 8) Is it a good idea to allow comments on videos? Yes. The entire aim of uploading your videos on YouTube is for people to engage with them. If you don’t allow them to leave their comments, they will think that you’re not open to criticism and don’t value their opinions, which is bad for any brand. You should allow comments, but moderate them. You can choose from options to display them automatically, keep them hidden or display only after you approve. Even when you allow them to be displayed automatically, you will still have an option to delete any inappropriate ones later. Don’t be afraid of negative feedback – it provides you an opportunity to respond, to publicly show you care as well as provide valuable feedback. 9) How do you promote your channel? The reason for uploading videos to your channel is to engage your existing customers and new ones. It makes sense to promote your videos to your existing customer base so they can comment and recommend. Every time you upload a new video, share the link through all your social media platforms and if possible, include it in your newsletter. If you already have an embedded YouTube playlist on your website, you can simply update it by adding the video to the playlist. 10) That’s all good, but how will I know if it’s working for me? Which device – multi-platform means it could be a mobile phone, a laptop, a tablet, a PC, a MAC. How long did they watch it for? Do most people click off before you get to the contact details and call to action? How they discovered your videos – from your social media, your newsletter etc – so you know which distribution channels work best. As you learn and understand these factors you will get a good understanding of your viewers and how to best serve their needs to your financial benefit in successive videos.